Nicole has been practicing physical therapy since 1998, and uses a blend of evidence-based medicine, manual therapy, functional training and exercise. She has completed extensive post-graduate coursework in orthopedics, manual therapy, functional training and sport-specific exercise. She is a board certified orthopaedic clinical specialist who has a background in exercise physiology/ kinesiology and obtained her clinical doctorate in physical therapy from University of Southern California. 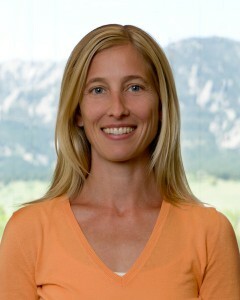 Nicole is a nationally recognized expert on running analysis and injury prevention, and she teaches at the doctorate level in physical therapy for University of Colorado. 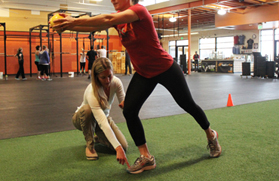 She has advanced training in Functional Dry Needling, TRX Suspension Training, the Functional Movement Screen (FMS) and the Selective Functional Movement Assessment (SFMA). Nicole is also a certified yoga teacher in both integrated vinyasa and therapeutic yoga as well. She works with athletes and non-athletes alike, and is a strong advocate of community outreach and education, offering a solid presence in the medical and wellness community as a resource and mentor. Nicole is dedicated to providing quality care as a physical therapist, and works hard to help each patient achieve their goals and potential. She strives to return her patients to a healthy and pain-free lifestyle through a caring, thought-filled, and evidence-based approach. She does not contract with insurance companies in order to provide a full hour of individualized care, and to utilize those longer treatment times to achieve effective results and outcomes in fewer visits. She is able to accept payments through FSA/ HSA accounts, and can provide a “superbill” for submission to your insurance company for out of network benefit coverage. Please see the FAQs section for more details.